The global scuba diving insurer has today issued advice on its website for UK policyholders visiting Guernsey and Jersey. 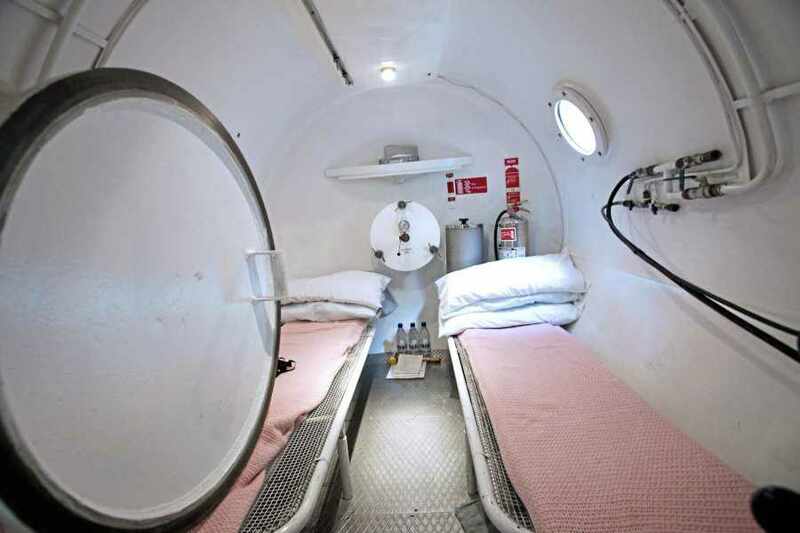 Guerney's hyperbaric chamber now charges a fixed fee of GB£30,000, regardless of the number of treatments. Dive Master's MD, Robert Archell, said the company had serious concerns over the medical treatment available at the PEH. 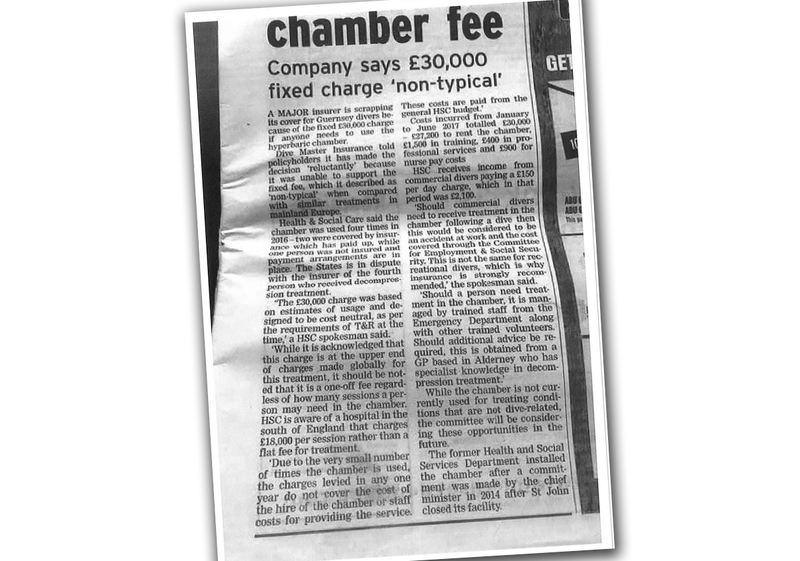 "Our decision was not just about the new fixed charge (£30,000) for the use of the recompression chamber on Guernsey," said Archell. "There are wider issues in this change for resident divers and tourist divers visiting Guernsey. When the St John facility closed, the States had an obligation to provide a recompression facility for 'divers at work'. This was the justification for the procurement of the new hyperbaric chamber. However, when we inquired about the medical support for sick and injured recreational divers at the hospital, we were advised that the protocol put in place relied upon remote hyperbaric diagnostic support, via telephone, to a UK NHS facility with on-call diving doctors." The fact that the chamber has no diving doctor on-site, responsible for clinical decisions, is ‘fundamentally flawed’. — Dive Master's MD, Robert Archell. Archell added, "When we queried if this method was suitable for recreational divers, we were told it was usual practice in offshore facilities where a doctor was not present and hyperbaric first-aid response was being administered by an experienced nurse or a diver medic technician based in an offshore facility." The fact that British divers will need to be medevaced to the UK, rather than be treated in the Channel Islands makes liveaboard trips or a "staycation" to the Channel Islands, less attractive.4 It is also believed that this decision will also affect divers domiciled on Guernsey who are insured with Dive Master Insurance. Just because a diver has diving insurance does not necessarily mean that there is a working chamber at the dive destination. It is quite possible too that the nearest chamber can either be non-operational or it does not take emergencies. It is always worthwhile to check first.